Shine in the new year! No matter what you celebrate, take this day to celebrate YOU. 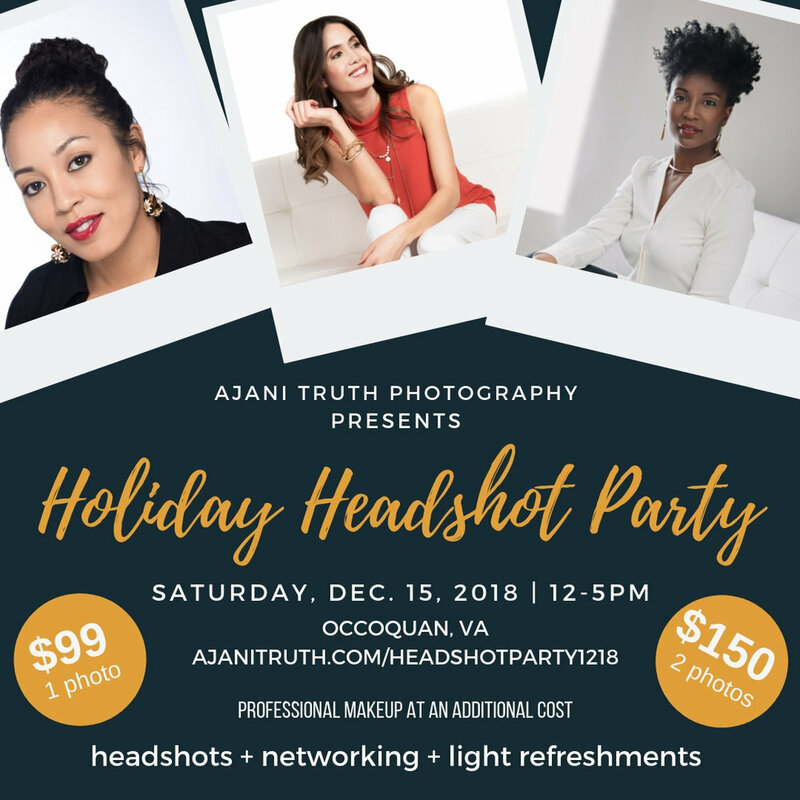 Come have some fun, meet new like minded, ambitious people and have your stress free headshot done by Ajani Truth. Why wait to New Years to work on your brand? Your new professional headshot will give you the confidence to crush 2019. As my gift to you, I'm offering one headshot for $99 (regular price at $225) or 2 photos for $150 (regular price $350). Makeup is available at an additional cost. Light refreshments (and a memorable experience) included.